“It just makes sense to treat my animals well. If I don’t treat them well, they won’t produce. So for me to make a living, I have to do right by my animals.” I’ve heard this reassurance put a number of ways by a number of livestock farmers. 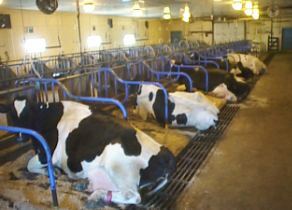 It’s meant to make nonsense of the view that the way farmers raise animals on conventional modern mega-farms is cruel. If that were true, the logic goes, those farms would be out of business, because unhappy animals won’t deliver the meat and milk the farmer sells. As I’ve said before, that logic may have worked before farmers started routinely administering antibiotics and hormones to their animals, but it doesn’t fly anymore. 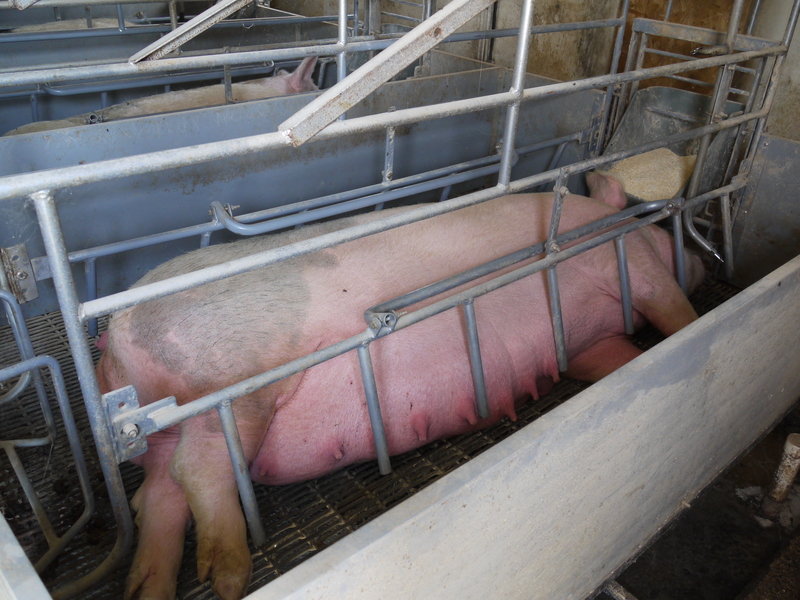 And a recent assessment of loading processes for pigs leaving their farms (in most cases, headed for the slaughterhouse) proves it – though that wasn’t really the point of the study. Scientists up in Saskatchewan, CA observed ten different farms loading pigs onto trucks to document the facilities, tools, and tactics that worked the best. Some solid practical tips for ramp design, lighting, etc. came out of it. Notable for farmers and people working in livestock transport, a big yawn for the rest of us. Now, all of the farms visited by the researchers were renowned for their good practices, and prod use in general was very low. But what I’m wondering is, if hitting and poking pigs with sticks is counterproductive, why would anyone be doing it in the first place? According to Farmer Joe, economic self-interest is supposed to guarantee that farmers treat animals well, but every prodded pig is a piece of evidence that it doesn’t. Economically rational farmers should want to load their pigs as quickly as possible, so they should eschew the prod – but they don’t, not even in farms pre-selected for their good practices. Part of the problem is ignorance, ignorance that studies like this one will hopefully dispel. We can hope that people who simply don’t know that prodding pigs is counterproductive will stop doing it once they see the light. But people have been herding animals for centuries, indeed millennia, so I can’t believe that ignorance is the whole story here. The other problem is that we’re not rational economic agents, we’re human beings. Sometimes we haven’t had our coffee or are sweating in hundred-degree heat or just don’t give a crap, and we slip up. If we’re working in a textile mill that might mean we rip up a sweater, but if we’re working on a livestock farm, that might mean we abuse a pig. How do we handle that?